Here’s some info on WOMEN-IN-PERIL THRILLER SCRIPTS WANTED – be sure to read the specific details below! We are looking for completed, feature-length, “women-in-peril” thriller scripts. Material should be grounded/realistic, about an everyday woman who must escape from a perilous situation (a dangerous ex-boyfriend, kidnapper, etc). We are especially interested in wife/husband or mother/child themes. 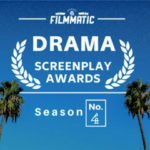 Please do NOT submit scripts that are fantasy, supernatural, or period pieces. Budget will not exceed $1 million. At this time, we are only accepting submissions from non-WGA writers.